HOUSTON — President Donald Trump’s claims over Christmas that he had awarded 115 miles of new border wall construction in Texas appear to confuse work that’s already funded and underway. 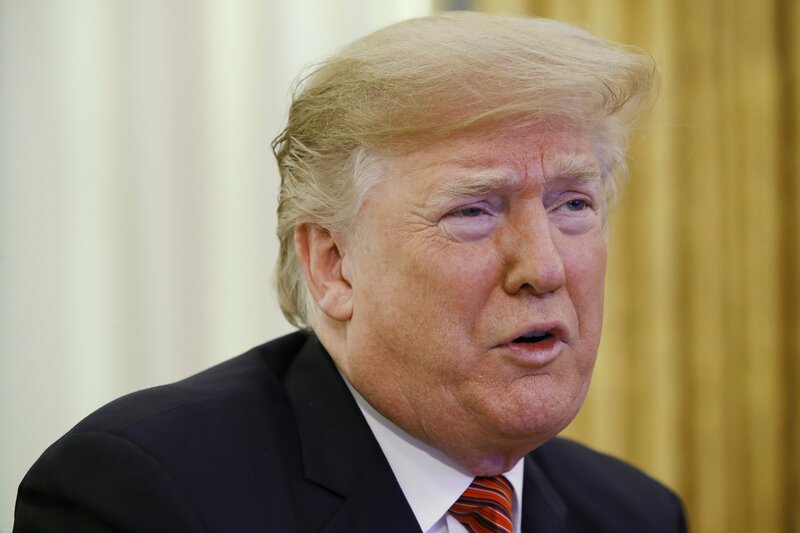 He reiterated on Tuesday that he’s moving forward on construction, even as the government remains partially shutdown over his insistence that Congress approve more money for a border wall. Neither the White House nor the Department of Homeland Security responded to follow-up questions on Monday or Tuesday, but here’s what’s known about contracts and construction of the wall. THE FACTS: Trump can’t award construction contracts. The U.S. Customs and Border Protection and the U.S. Army Corps of Engineers awards contracts for border wall construction after Congress approves funding and months have gone into planning. In March, Congress approved funding for 33 miles (53 kilometers) of construction in South Texas’ Rio Grande Valley, the busiest corridor for illegal border crossings. CBP announced in November that construction in the Rio Grande Valley would begin in February, including at the nonprofit National Butterfly Center, a state park and privately owned ranches and farmland. Trump’s statement that he plans to visit the site at the end of January suggests he may be referring to this previously announced construction. THE FACTS: It’s unclear where the figure of 115 miles is coming from. According to DHS , the March funding from Congress will pay for 84 miles (135 kilometers) along the southern border, including the 33 miles (53 kilometers) for Texas. And if the Trump administration gets the $5 billion it’s requested, DHS says it would build 215 miles (346 kilometers) that it considers the “highest priority,” include 159 miles (256 kilometers) in Texas. Whether DHS got a “great price” on the 33 miles is up for debate. Twocontracts announced by CBP to build 14 of those miles (23 kilometers) total $313 million, or roughly $22 million per mile ($14 million per kilometer). There’s already 653 miles (1,051 kilometers) of border fence in place, built under the Secure Fence Act passed in 2006. CBP estimated in 2015 that the total cost to build that mileage was $2.3 billion, or roughly $3.5 million a mile ($2.2 million per kilometer). Many of those miles were built with less complicated design or on easier terrain than where CBP wants to build now. THE FACTS: CBP announced in November that Galveston, Texas-based company SLSCO won the two contracts with the U.S. Army Corps of Engineers for projects in the Rio Grande Valley. Contract notices posted online say that three bids were solicited online and received for each contract. The U.S. Army Corps of Engineers is working with CBP to plan and build the wall.